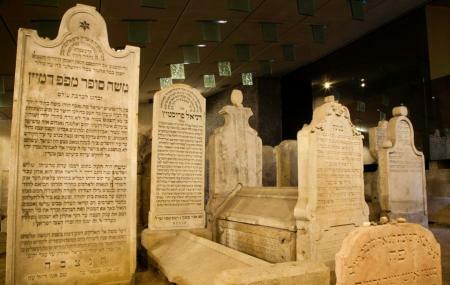 Named after Chief Rabbi of Pressburg Moshe Schreiber, the Chatam Sofer Memorial consist of a Jewish Cemetery with the grave of the prominent 19th century Rabbi who preached European Judaism. Originally a Jewish Cemetery from the 17th century destroyed in 1943, this is the resting place of 22 others along with Chatam Sofer and marks an important chapter in the Jewish history of Bratislava. Take a few minutes to pay your respects or simply visit the place for its tranquility. Visit is not permitted during Shabbat (from Friday night to Saturday night). On other days you can visit the place only by appointment. Do request for a visit at least 48 hours in advance. How popular is Chatam Sofer Memorial? People normally club together Franciscan Church and Hviezdoslavovo Namestie while planning their visit to Chatam Sofer Memorial. Took a cab from vienna. site says opens at 9:00 got there 10:30. was locked. woman says she called and they should be there to open 15 min. well waited 20 . i called they said not before 11:15. left 11:30 said my tehillim at locked gate.. Very interesting place to visit. A real inspiration. It is a perfect place to daven. Access inside is forbidden to the public, you can see top graves through a glass (more dirty than clean) for a fee of 6 euros. When I asked why we could not get in, we were told that only those in the press had access in. I do not recommend.